Andersen 5-point Active Lock Mechanism is used on Double active Stormwatch (AP/PA) units. Single active Stormwatch™ units use the standard 3-point active lock with numbers on face: 2579771-3F and 2579774-5F. 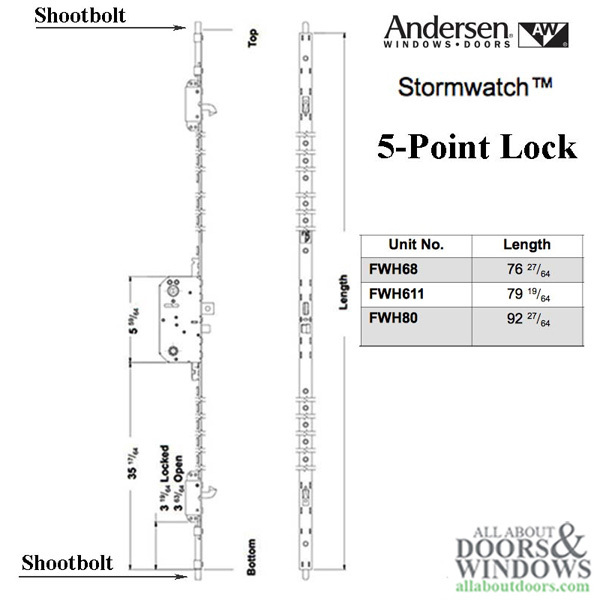 The 3 means 3-point lock, the 5 means 5-point lock. 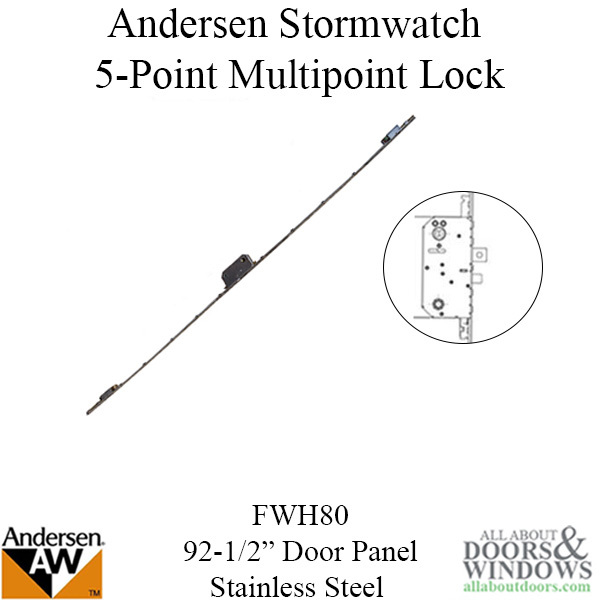 The 5 point lock has a deadbolt, 2 hooks and shootbolts at top and bottom of door. 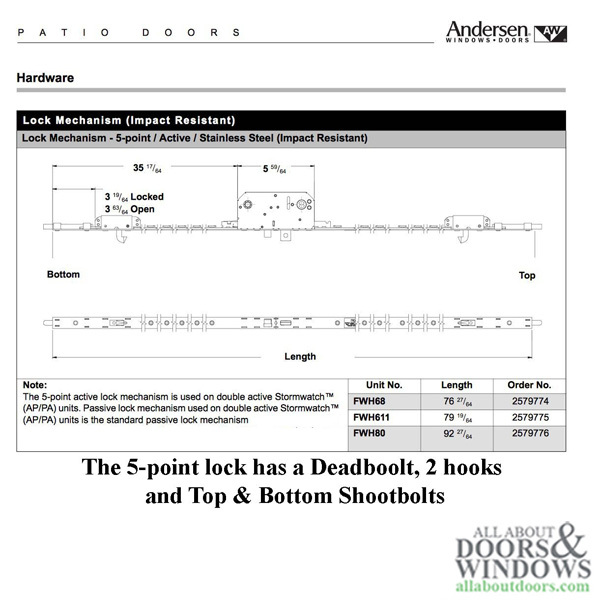 If you lock only has 3 locking points (no shootbolts), please look at part #2579771. 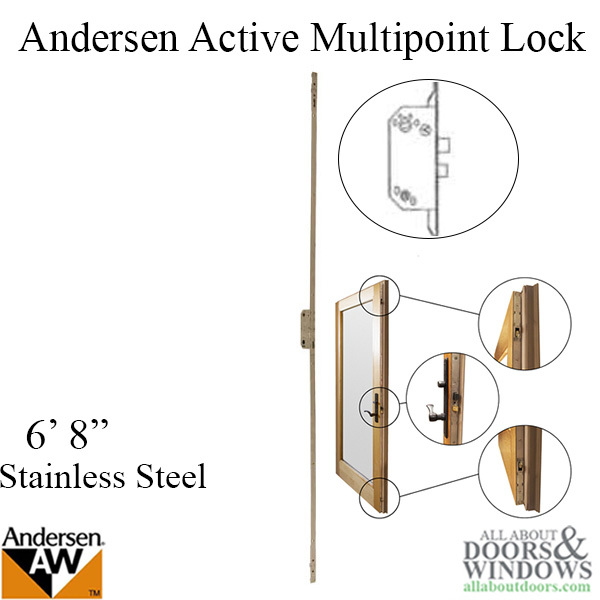 To Change Handing on Andersen multipoint locks there is a small hole above the spring latch. 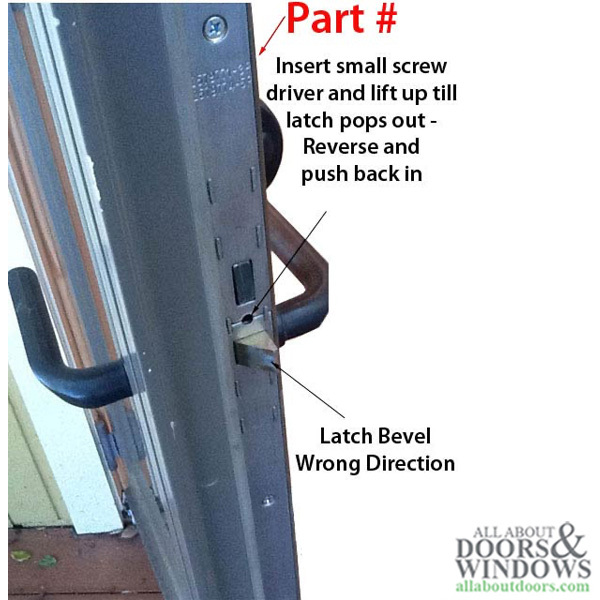 Insert small screw driver and lift up until the latch pops out. Reverse latch and push back in. Please check the operation of lock before closing door!